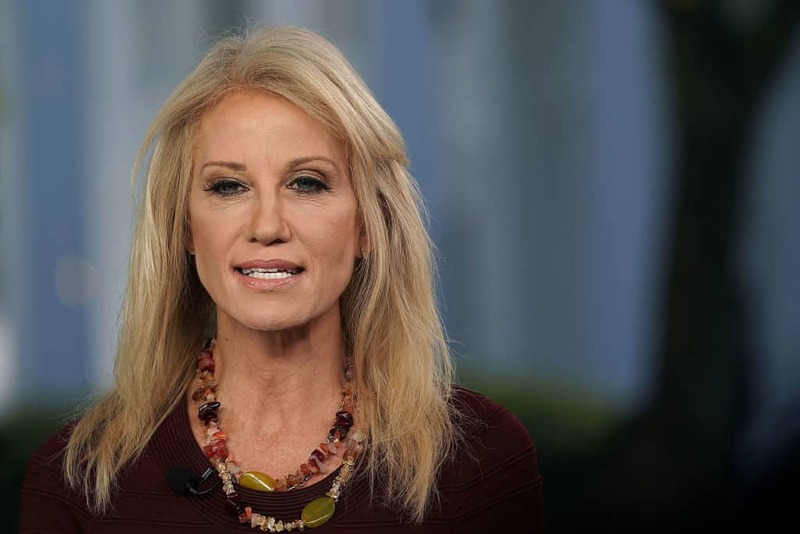 In an interview with Fox News’ Chris Wallace on Sunday, White House counselor to the president Kellyanne Conway contradicted comments previously made by her boss, President Donald Trump, who had stated he had denied her husband George Conway a position in his administration. Kellyanne Conway confirmed that her husband, George Conway, had, in fact, turned down an offer from the president to work in the Justice Department within his administration, the Washington Post reported. She gave an account of her husband’s actions that seemed to suggest, up to that point when he turned down the offer, he had supported Trump’s agenda and leadership style. “What I will tell you is that George was very supportive of President Trump, cried on election night in his MAGA hat, blocks away from here at the Hilton in New York, wanted to take a job in the Trump administration and changed his mind, and was a guest of the president and first lady months after he withdrew himself from consideration,” Conway said during her interview with Wallace on Fox News Sunday. George Conway and Trump have been embroiled in a bitter feud for the better part of the past month. It began when Conway suggested, in a series of tweets following a weekend in which the president also send out a barrage of social media postings, that Trump was mentally unfit for office, per previous reporting from HillReporter.com. That prompted Trump to respond in another tweet that Conway was “jealous of his wife’s success & angry that I, with her help, didn’t give him the job he so desperately wanted” in the White House. Trump added that Conway was a “husband from hell” to Kellyanne. George Conway disputed Trump’s assertions that the president denied him a job, and provided documentation to the Washington Post that he had actually changed his mind, opting not to work for the administration after being offered a position within the Justice Department. When asked by Wallace what she thought of her husband attacking the president’s fitness for office, Conway was hesitant to provide an answer. “My first line of protection in this world is and will always be my four children. So I don’t really like to discuss this publicly,” she said. She also said it was “inappropriate” to discuss whether the spat between her husband and her boss was affecting her marriage. “That’s the line over which nobody should have crossed,” she said.